Evo is excited to announce Evo's first wellness retreat. 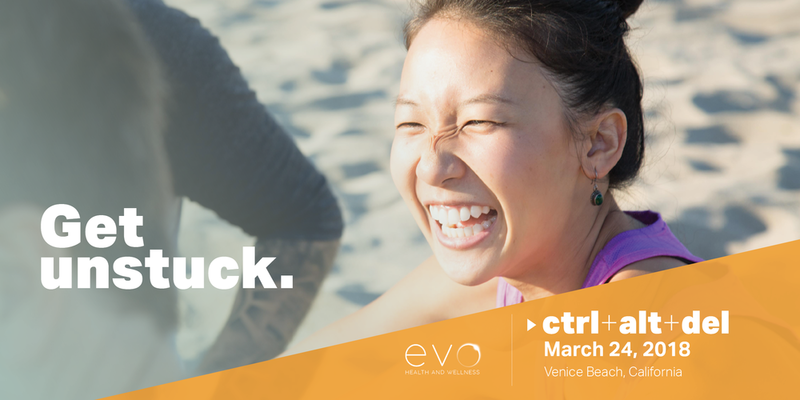 On March 24, Evo will host Ctrl+Alt+Del, a full day experience to refresh your mind and your body. So often we have stories about ourselves that become fixed. We decide that we are a certain way and there’s nothing we can do about it. Drawing from the latest thinking in the field, the retreat combines therapeutic conversation with recharging somatic work. Through mindfulness, movement, delicious food, and inspiring discussion, participants gain concrete tools to unlock new possibilities.